Bathroom Linen-Topped with glass panels and cross designs, the two cabinet doors house three interior shelves to better organize your necessities. 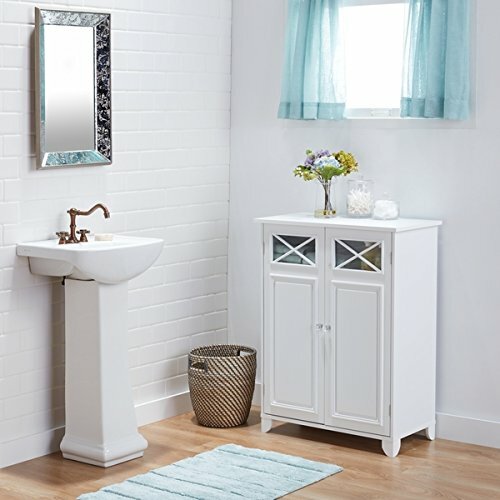 Floor Cabinet-Keep your bath time linens and toiletries close at hand with this charming bathroom storage cabinet. Organizer-A glossy white finish allows you to pair this linen cabinet with any color of towels or decor. If you have any questions about this product by By Home Decor, contact us by completing and submitting the form below. If you are looking for a specif part number, please include it with your message.